What were your favorite Superheroes doing during WWI? 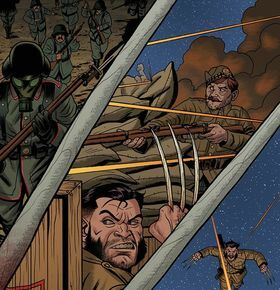 Join us for an action-packed history series on World War I and comics! Learn about the history of WWI, technological, military, and social changes happening in 1914, and why this 100 year old event appears in today's comics and movies. 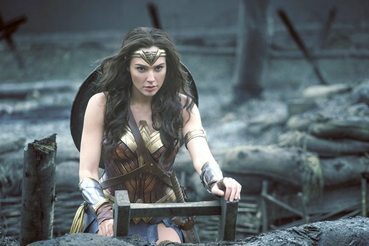 We will discuss Wonder Woman, Batman, Wolverine, the Incredible Hulk, and more, as well as comics made by Iowa natives about WWI. Read Comics, Learn History, and Draw Your Own History-Themed Comics! This program is FREE but space is limited to 15 participants each day. Registration is required in advance and participants can only sign up for Monday, Wednesday, or Friday's session (each session is the same). To reserve your spot, contact Alissa at info@fcctrust.org or 515-465-7713. Parents: This program discusses World War I and related technological changes, including military weaponry. If you have questions about the content of this program, please contact Alissa at info@fcctrust.org or 515-465-7713. This program is funded by the Bock Family Foundation. 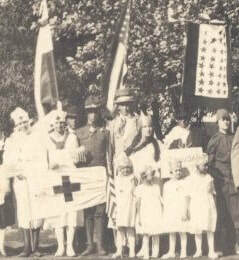 How did children and young adults help out at home and support the troops during WWI? Join us for the inspiring story of how groups of young people made a difference in history, and learn how you can do the same today! This program will offer a brief history of WWI and focus on the contributions that the Youth Red Cross, Boys Scouts of America, and Perry children and teens made in 1917 - 1918. We'll also brainstorm how you can help your community today and make care packages for Iowa soldiers that are currently deployed! This program is FREE but space is limited to 15 participants each day. Registration is required in advance and participants can only sign up for Tuesday or Thursday's session (each session is the same). To reserve your spot, contact Alissa at info@fcctrust.org or 515-465-7713. This program is funded by the Bock Family Foundation and care package donations from Hy-Vee and the Perry Public Library.